You can browse all the Geode MBeans in your distributed system by using JConsole. If successful, the message Running JDK JConsole appears. 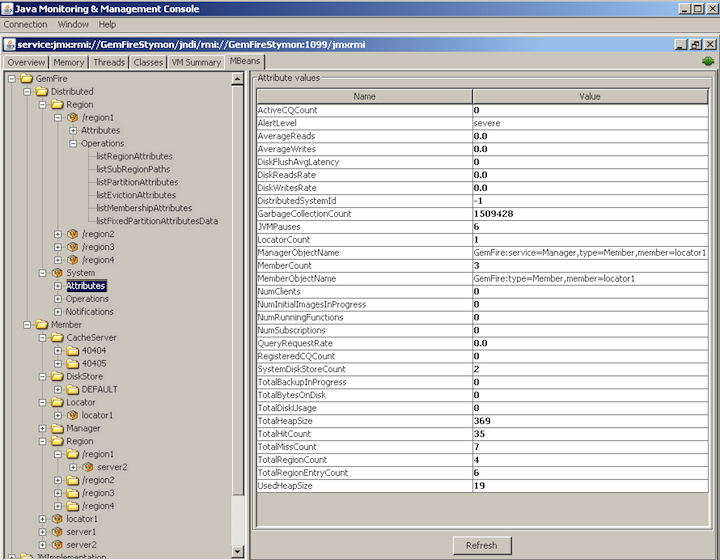 The JConsole application launches and connects directly to the JMX Manager using RMI. On the JConsole screen, click on the MBeans tab. Expand GemFire. Then expand each MBean to browse individual MBean attributes, operations and notifications.